Anyway, many homeschooling parents I know are a bit intimidated by the thought of teaching Shakespeare in high school. To some, it’s right up there with Chemistry and Trig (shudder…). But it can actually be fun! Honestly, I’ve never developed a love for the Bard, but I have overcome the intimidation factor. It started with a super-wonderful drama/English teacher my older kids had who “made” her class perform selections from Shakespeare one year. To help my kids memorize their lines, we’d read them to each other out loud at home. I discovered that hearing it made all the difference! Years later, kiddo #4 had an opportunity to play Malvolio in Twelfth Night. During the research he did for that character, he happened upon this Shakespearean insult generator, from LiteraryGenius. While admittedly a pretty low bar – although right in line for middle school boys – my three youngers had a blast with it and actually had fun working on the script together. Some tips on How to Teach Shakespeare so Your Students Won’t Hate It. 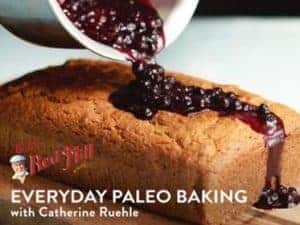 Admittedly kind of a low bar, but some good pointers, nonetheless. This is an excellent resource for teacher prep from Owlcation: How to Understand Shakespeare. But a high schooler could definitely “handle” this, too! Interesting essay on Shakespeare for Teens; why to teach it, how to teach it, how to jazz it up! Cute Top Tips for Teaching Shakespeare…using a few of his own quotes. Check out these 96 Incredibly Useful Links for Teaching and Studying Shakespeare, from OnlineCollege.org. 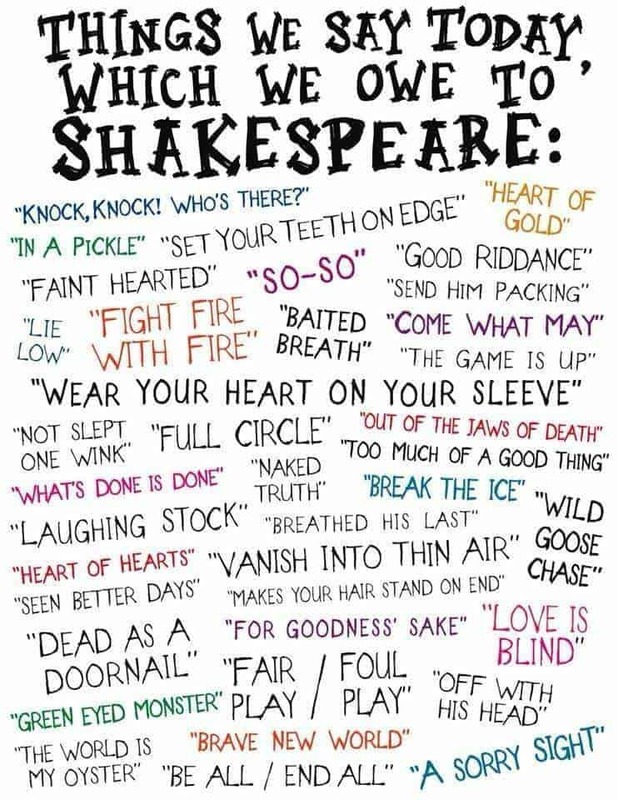 Check out these words and phrases we say today which we owe to Shakespeare. From NoSweatShakespeare.com. Had this been around a few years ago, when we were immersed in British Literature…this would most definitely have been a cornerstone of that class. 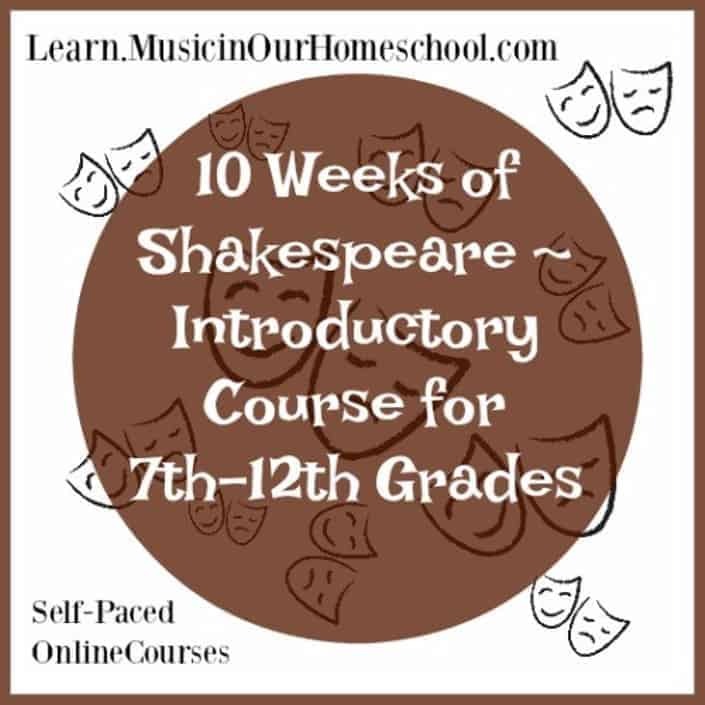 “10 Weeks of Shakespeare” is from MusicInOurHomeschool.com, and is an absolutely wonderful introduction to the Bard’s world for teens and parents alike. 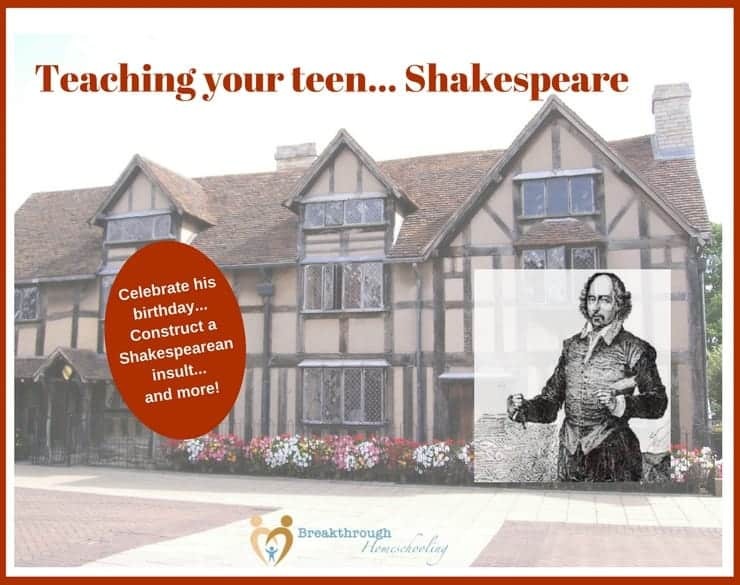 And do hop over and check out the HomeschoolBuyer’s Co-op, which has a great “group buy” deal on “Shakespeare in Bits”, an introductory course that covers 5 of Shakespeare’s most famous plays. Using even just a few of the resources above, you could easily put together a .5 credit elective and call it “Shakespeare Studies”, or include it as part of a full year’s British Lit class for your high schooler! 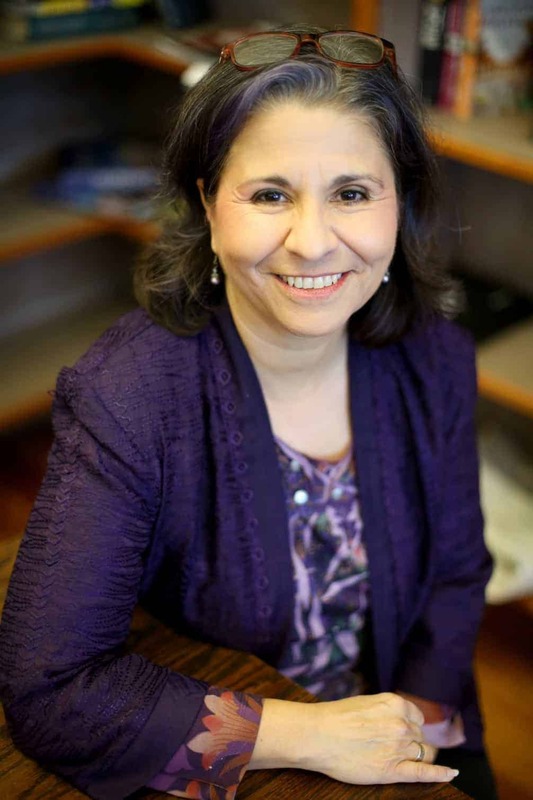 As you may be starting to figure out, I love words…language…communication – and how they all fit together. One of the greatest gifts we can give to our kids is a similar love. And one of the greatest skills we can teach our kids is how to communicate…that one will be a skill they’ll use no matter where they go or what they do in life. 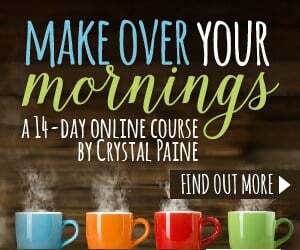 I hope the tools in today’s post serve to help you with your efforts. 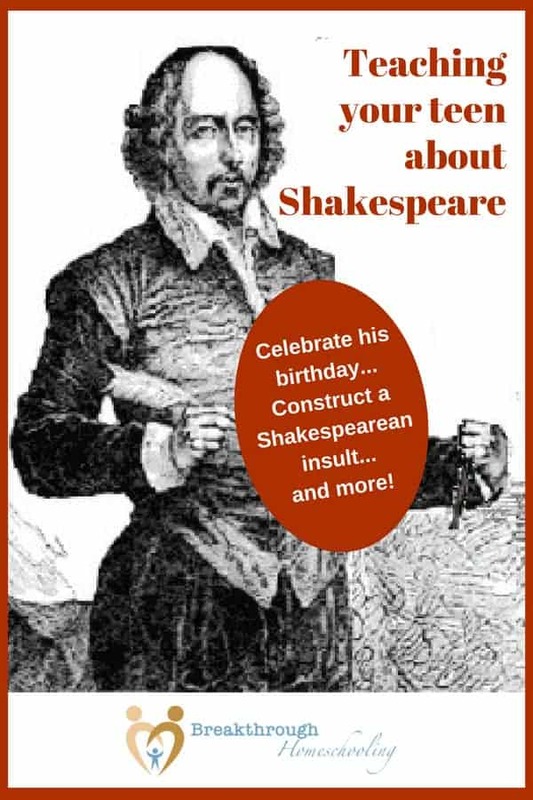 Will you be celebrating Shakespeare’s birthday this year? 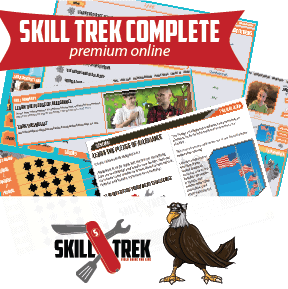 What tools are you using to do more than “just” teach English or Language Arts in your homeschool? ← #breakthrulinkup 29 – Is your teen stressed?